The teams and fans are all in the stadium after spending much of the day painting Kiev red and white. 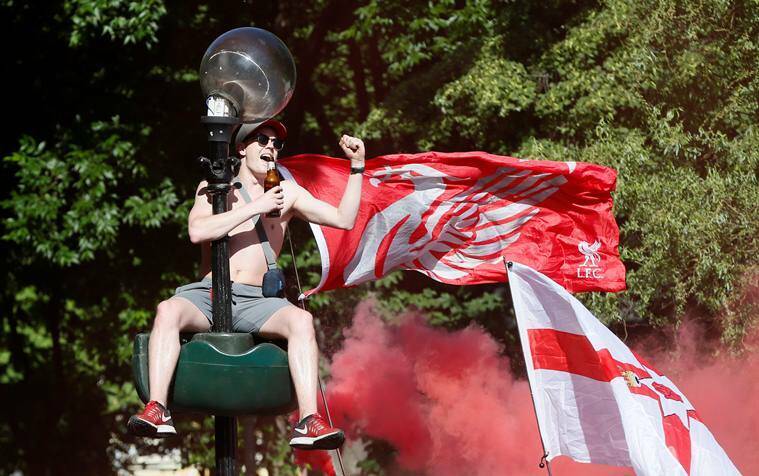 The fans painted the town red and white through the course of the day and Kiev was split into Liverpool and Madrid as it geared up for the final of arguably the biggest club competition in the world. There was a slight bomb scare in one of the subways but that turned out to be nothing more than a false alarm. After all the frolicking, the fans and the players have made their way to the stadium and we are only minutes away from the match. 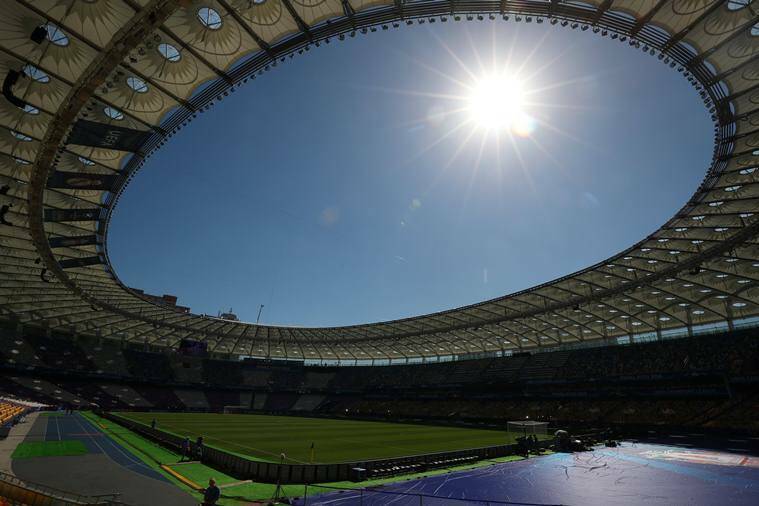 Follow live commentary of the Champions League final here. Riise was part of the Liverpool squad that beat AC Milan to win the title in 2005 in a match that is regarded as the greatest ever Champions League final. So how are you preparing for the big match? Calling some friends and watching the match over some beers? Or, are you sticking to your roots and doing something like this? 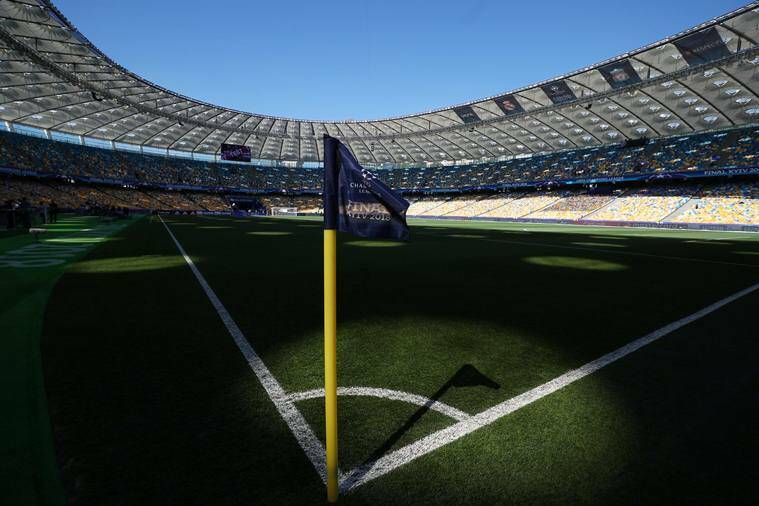 The Olympic Stadium in Kiev is where the match will be played. It has a capacity of over 70,000, which makes it the second largest sports stadium in Eastern Europe after Moscow's Luzhinski stadium. It serves as the home ground of Dynamo Kiev since 2011 and hosted the Euro 2012 final. This is just an example of the many absurdities that have come up because of the Premier League's ever increasing financial power. Fans of both sides are swarming the capital of Ukraine and, for the day, there seems to be a lot of Spain and England influence on the city. Here are some of the pics coming from there. Around 5 PM IST, Reuters reported that Kiev had closed five subway stations, mostly in the central part of the Ukrainian capital, after a bomb warning. "The stations are closed to passengers and checks are being carried out," the subway operator said on Facebook. It was later reported that the subway has reopened after a bomb warning proved to be a false alarm. "The stations are checked and open for passengers. Explosive items were not found," the subway operator said on Facebook. Former Liverpool and Atletico Madrid player Luis Garcia on Reds' main man tonight: "He's been scoring goals all this season and in all competitions," said the 39-year-old. "He was the best player in the Premier League this season and today's game is on the biggest stage. I'm sure he's going to perform." Not just Fernando Morientes. Even Xabi Alonso will find it hard to pick between the two teams he's represented in his career. The Basque player has advice for Liverpool, "They have to deal with the emotional side, which is almost as important as the football side," he told AFP. "If they can get the right balance between excitement and motivation, that will be the right way to approach this final." Klopp is godfather to Wagner's daughter. Wagner was Klopp's best man. They played for the same Mainz team in the Bundesliga in the early 1990s. They were coach (Klopp) and assistant coach (Wagner) for Borussia Dortmund from 2011-15. Klopp was hired by Liverpool in 2015 when Wagner was appointed Huddersfield manager. Last Sunday, Real Madrid's basketball team won the European title - their tenth EuroLeague trophy. But never have the basketball and football teams held the European title at the same time. First time for everything? Can Ramos make it three titles? Fernando Morientes represented both Real Madrid and Liverpool. He's now the coach of the Real Madrid U17s and finds it tough to between the two. "Obviously in my heart it's Real Madrid," he told the Daily Mail. "I was playing there for eight years and won a lot of things. I live there now and worked as a coach with the Under-17s. Liverpool is my second team. It's a special final for me because Real Madrid and Liverpool are part of my history." Who is the key man in tonight's match? Cristiano Ronaldo vs Mohamed Salah? Sergio Ramos vs Virgil Van Dijk? Who will be the key man in tonight's match? Liverpool's Alex-Oxlade Chamberlain is eagerly awaiting the kickoff of the big match. Though he is injured and will miss out the big match, Chamberlain says that he will be there in Kiev to support his team. Mohamed Salah has been in glorious form this season for Liverpool and he has reciprocated that in European competition. IN 11 appearances, he has scored 10 goals and 4 assists. He will pose a massive challenge for Real Madrid's defence. There are a number of records which Real Madrid No. 7 Cristiano Ronaldo can break in tonight's clash against Liverpool. He already has 15 goals in 12 games in Champions League this season. He became the first player ever to score in all six matches in a Champions League group stage in December and with further strikes against Paris St Germain and Juventus in the knockout rounds he set yet another record in the competition by scoring in 10 consecutive games in the same season. If he scores a goal tonight, he will surpass Alfredo di Stefano to become the only player to score in four European Cup finals. Some of the legendary Real Madrid players gathered together on the field and discussed some ideas before the match. How many can you recognise in this photo? 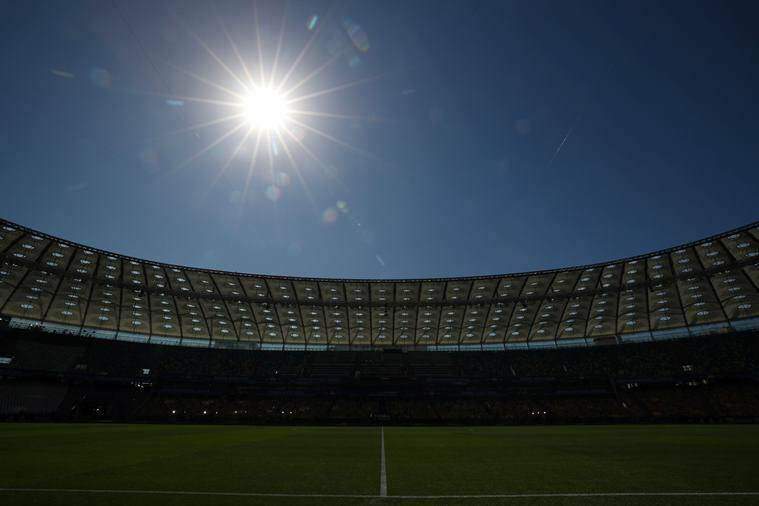 Who is performing this year at Champions League final? Former Manchester United and Real Madrid legend David Beckham has a request for the Real Madrid manager Zinedine Zidane: Beat Liverpool. Well, understandably. Also from Marca is this little map/route of Real Madrid's European titles in the past. Could be a local train journey! A quick look at how the Madrid press is covering the Champions League with Diarioa AS and Marca the biggest sports newspapers in the city. 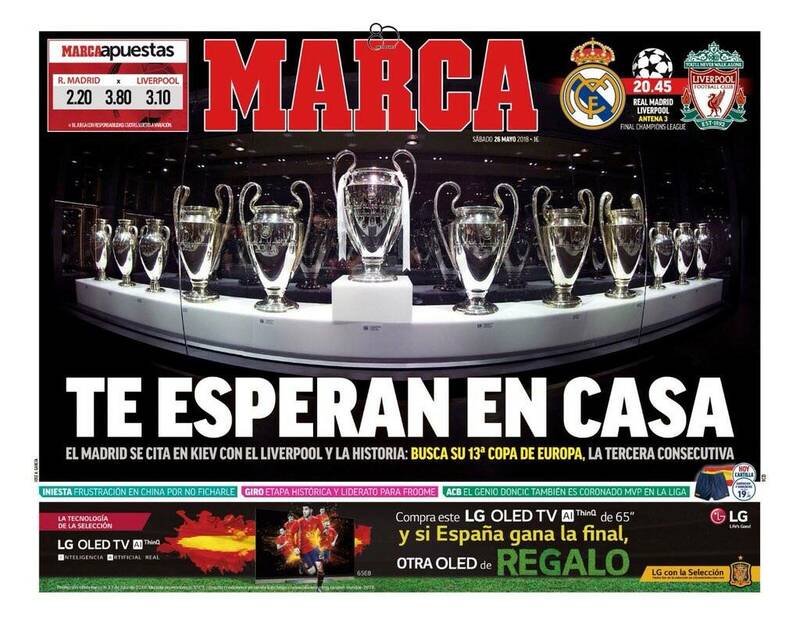 AS goes in with, "For glory and for history" as "Real Madrid look for 13th European title and historic third in a row"
Marca has the display of Real Madrid museum with the 12 trophies and the headline teasingly reads, "They're waiting for you at home" followed by the record attempt of third consecutive title and 13th overall. A video of training showing a set piece taken by manager Zinedine Zidane and scored by Luka Modric has gone viral. Why? Because the two midfielders show exactly why there were called as the magicians of their time. Jurgen Klopp-led Borussia Dortmund schooled Jose Mourinho led Real Madrid in football back in 2012 in the Champions League. The manager is a familiar foe for Real, and he is a demon they want to forget. For Real, it is an opportunity they have not slipped up on in the past two years, and a side led by Klopp is the last thing they want to lose against. 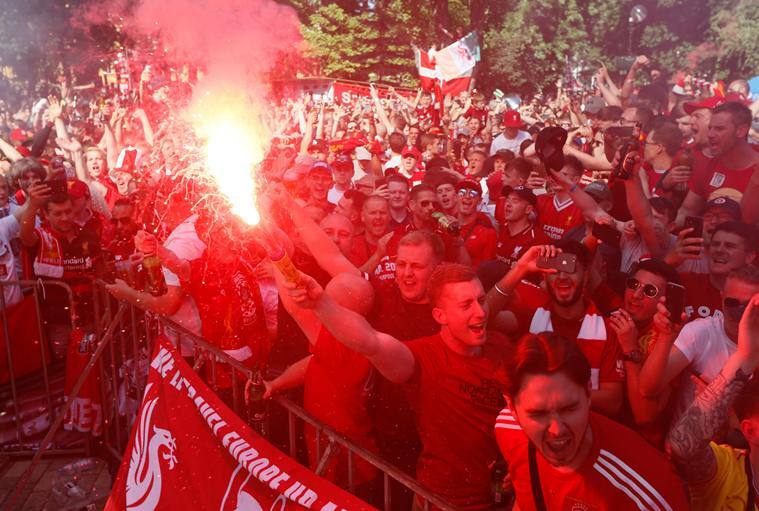 Liverpool fans are going crazy - it is for the first time in 10 years the club has a shot at European Football's biggest prize! The fans have taken a control of the Kiev Airport and are chanting frantically. SCENES! 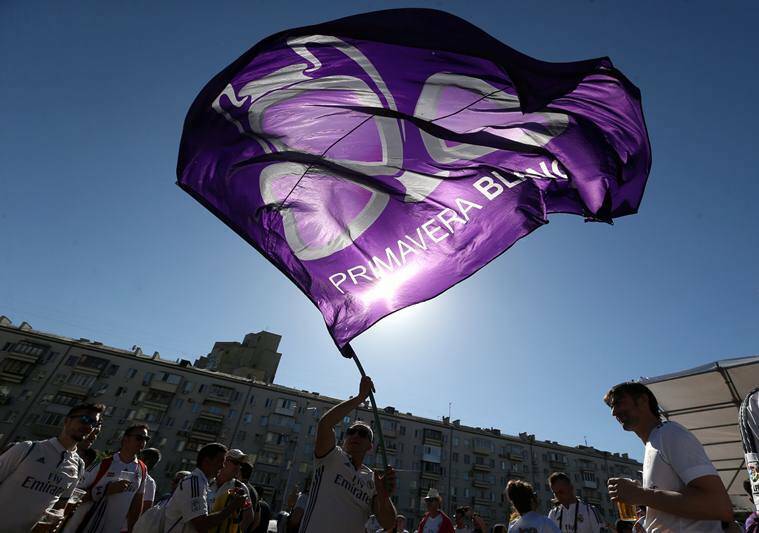 Real Madrid stars Toni Kroos, Dani Carvahal and Gareth Bale want the fans to come out in full support in Kiev and boost the confidence of the side. Real Madrid manager Zinedine Zidane is absolutely confident that Cristiano Ronaldo, who scored in both the previous UCL title victories for Real Madrid in the last two years, will be up for the task for the third year in a row. "You need to know, Cristiano Ronaldo lives for matches like these," Zidane said. Caroline Wozniacki is in the house, y'all! Australian Open winner Caroline Wozniacki is a major Liverpool fan and she has a message for her favourite player Mohamed Salah - "Mo Salah is amazing and great!" Adam Lallana has spent most of the season injured and on the sidelines. But the midfielder knows what winning the Champions League trophy would mean for the club. He sends an emotional video message for the fans. BEWARE: This will definitely give you goosebumps. It might bring some tears, as well. You have been warned. Who will Manchester United fans be supporting, any guesses? "If we did it, it would be big, too"
Liverpool manager Jurgen Klopp appears to be ready to take on the tough Real Madrid side. The German believes that if the Scousers lifted the Champions League trophy this season, it will be a big moment in the club's history. If we did it, it would be big, too. “They will want to do it again. It would be big 100 percent. If we did it, it would be big, too. We will try,” said Klopp. Guess who was at a club in Kiev, celebrating Liverpool's season with the fans? Former Liverpool man Jammie Carragher was seen at a pub with fans, singing the anthem of Mohamed Salah! Excitement, much? 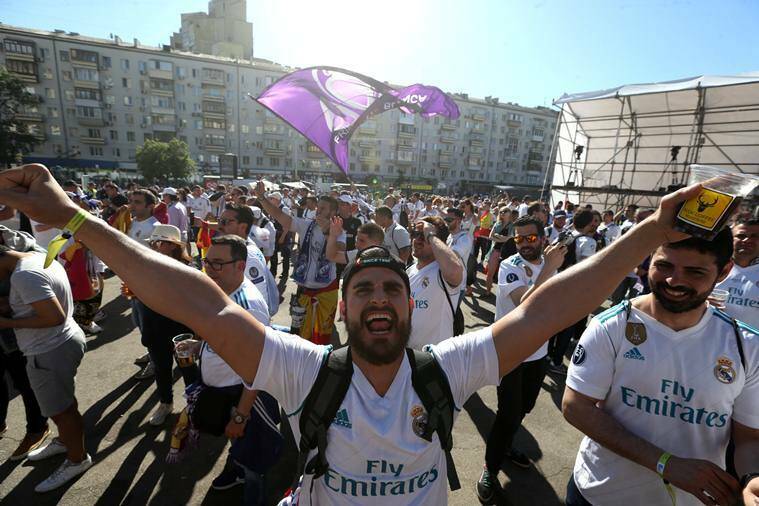 The highly anticipated Champions League clash between Real Madrid and Liverpool will take place tonight, and the excited football fans are eagerly awaiting the kick-off. It is for the first time since Chelsea beat Barcelona to lift European football's biggest prize in 2012, that an English club has reached the final of the Champions League. The last time Liverpool won the trophy was way back in 2004-05 under the tutelage of Rafael Benitez as they defeated Inter Milan 3-2 via penalties. Real Madrid, on the other hand, have won the trophy twice in two years, and will be attempting a first-ever hat-trick. Jurgen Klopp's Liverpool will be hoping to get another match-winning performance from the English Premier League Golden Boot winner this season, Mohamed Salah, who has scored 43 goals for the club in all competitions this year in 46 appearances. He has been the man in form for Liverpool and will pose the major threat to Real Madrid's shaky defence. 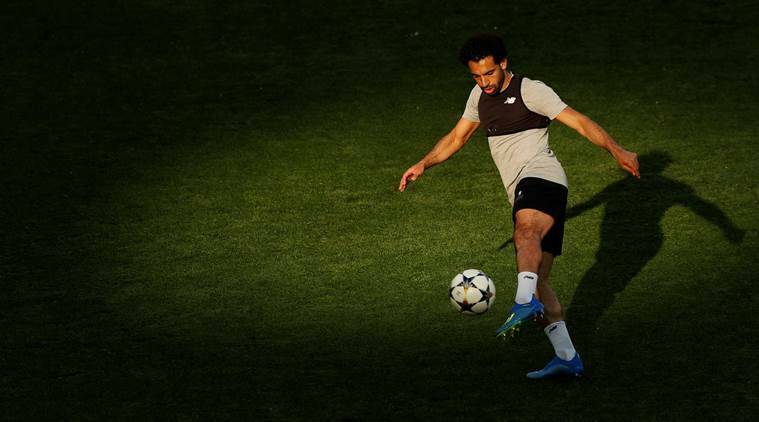 Real centre backs, Sergio Ramos and Raphael Varane, will need to be cautious against the speed, agility and accuracy of Salah, who has become a star player in European football. Ramos cannot afford to get an early booking, as he can expect himself be put to task by the Egyptian. 1 Champions League final, Real Madrid vs Liverpool: What tactics will Zinedine Zidane, Jurgen Klopp employ?